When Jack Frost comes nipping at your nose, it's time to turn up the heat. For many people, this just means raising the temperature on the central heating system's thermostat. In many cases, though, you only need heat in a small area for a brief time, and it makes more sense to use a space heater than to heat the whole house. 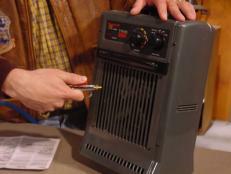 The best way to use a space heater to save money is to only heat one room, but leave the rest of your home cooler. That said, the National Fire Protection Association (NFPA) reminds us that space heaters account for 1/3 of all home fires and 4 out of 5 home heating fire deaths, so paying close attention to safety is a must. Whatever your reasons for using a space heater, here are tips to help you choose, use, and maintain yours so you can stay safely toasty warm, even when the weather outside is frightful. Keep anything that can burn, including bedding, furniture, and curtains at least 3 feet away from a space heater. Have a three-foot "kid-free zone" around space heaters and never use a space heater in a child's bedroom. 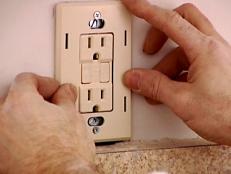 Run power cords on top of carpet and step over them to avoid abrading the cord. Do not use extension cords. Turn off space heaters when going to bed or leaving a room. Don't use a space heater in a damp or wet area unless it's specifically made for that purpose. Turn space heaters off before leaving the room or going to bed. Never put a space heater on a countertop unless it's specifically designed for it. Install smoke and carbon monoxide alarms and test monthly. Only purchase "UL Listed" heaters which display the UL mark on their label. This is an independent organization which tests for safety. Don't use gas- or oil-burning space heaters indoors, only outdoors or in spaces open to the outdoors like tents or porches. Read and follow all manufacturer's directions for your space heater. Space heaters heat you and the room they occupy in two ways: through radiant heat and convection. 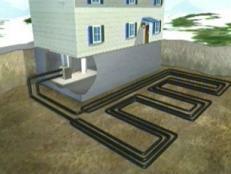 Radiant heat is like the warmth you feel when sunlight hits your skin. The closer you are to the space heater, the more of the radiant warmth you'll feel. Convection happens when air surrounding the heater is heated. That hot air rises toward the ceiling, pulling surrounding cool air toward the heater, where that air is heated and also begins to rise. Air at the ceiling then begins to cool and fall, until it's drawn toward the heater once again. This is called a convection loop and, while air toward the ceiling will tend to feel warmer, the convective loop will eventually help to heat the whole room. 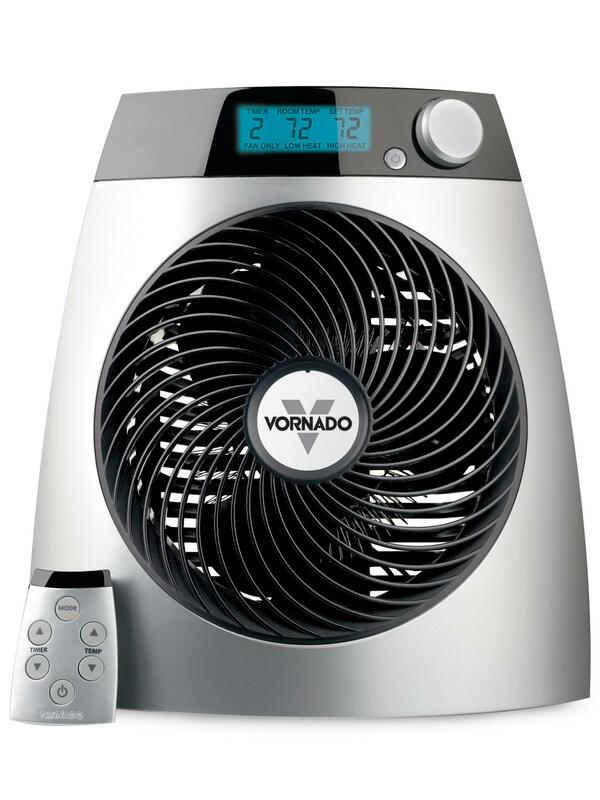 A heater with an integrated fan will naturally spread more of the heat farther from the heater than relying on convection alone, warming a room more evenly and quickly. Gas/propane/kerosene space heaters, due to the fact that they produce dangerous combustion gases from burning fuel, should only be used in well-ventilated areas open to the outdoors. 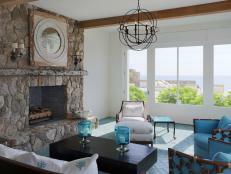 This includes areas like tents, screened porches, or new construction homes before the windows and doors are installed. It's best to find a model with a low-oxygen shut-off or oxygen depletion sensor. This safety feature automatically detects when oxygen levels are getting dangerously low in a space, and stops fuel from flowing to the heater, shutting off the flame. Output for gas- and oil-burning space heaters is measured in British Thermal Units (BTUs). 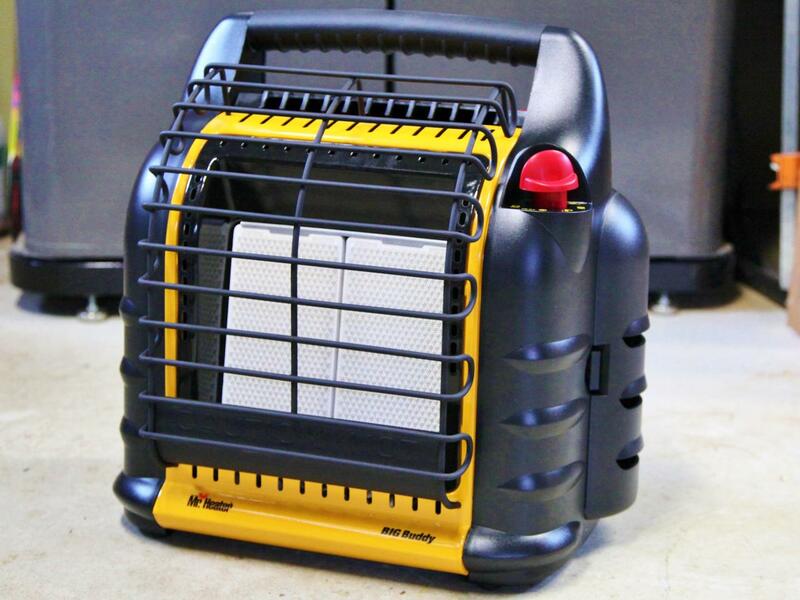 Smaller heaters may have outputs of 4,000 to 9,000 BTUs, which is enough to heat a 200 square-foot tent. Medium-sized heaters will have outputs of 12,000 to 30,000 BTUs, which will heat a space of 600-800 square feet. Larger, commercial grade propane heaters combine propane heat with a powerful electric fan to heat much larger spaces. These units can reach 150,000 to 200,000 BTUs and can heat spaces over 3,000 square feet. Caution: While "vent-free" gas heaters for residential use do exist, they are only safe if very carefully monitored and maintained. The safety of vent-free units relies on all of the catalytic and safety elements to be clean and in good working order to function properly at all times. If sensors or elements become dusty or dirty, the performance of a vent free unit can be compromised. Even with a properly maintained unit, burning of gas creates not only dangerous combustion gases, but also a surprising amount of water vapor. Aside from safety issues, excessive use of a vent-free gas heater indoors can result in moisture problems like mold, mildew, and condensation damage of wooden windows. Ideally, all gas heaters for indoor use should have sealed combustion chambers which are properly vented to the outdoors. 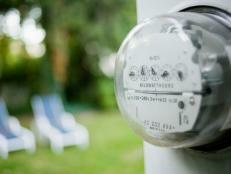 For indoor use, electric models come in many shapes and sizes, but all work in a similar way. They pass electricity through a poorly conducting substance, which resists the electricity passing through it, producing heat. That's why this type of heat is also called "resistance heating." Regardless of whether the heater uses wire, ceramic, quartz, or radiator-type elements, they all work essentially the same way. Some will use a highly reflective backing to concentrate radiant heat in one direction. 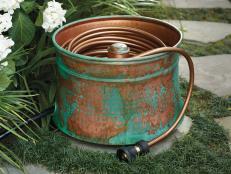 Ceramic and quartz heaters aim to keep the surface of the heater cool to the touch. 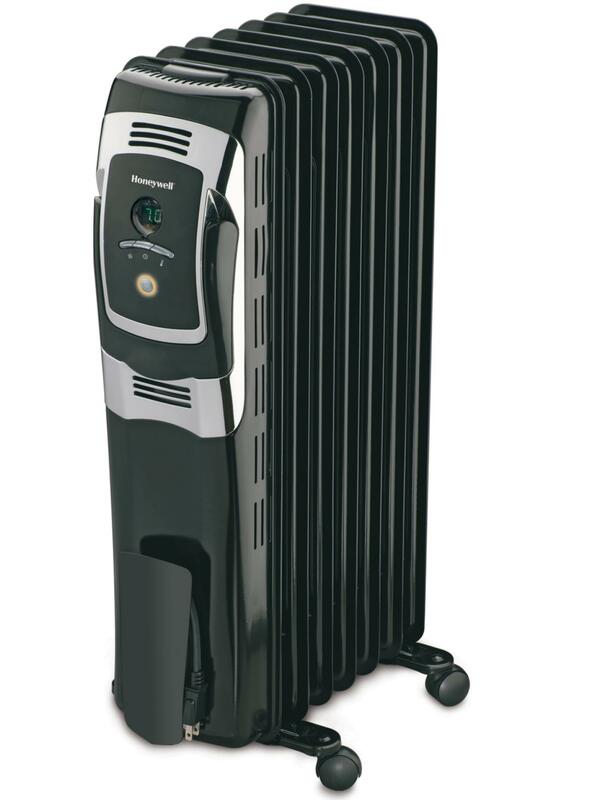 The best electric space heaters employ safety features like a tip-over switch, overheat sensor, and touch sensor (which shuts the unit off if the grill is touched, to prevent burns), to make them as safe as possible. A space heater that features a longer, heavy-duty power cord will mean you won't need an extension cord. Under-sized and frayed power cords are a major source of fire danger. One of the more advantageous features on an electric space heater is a built-in fan. A built-in fan will spread heat over a wider area as it circulates air through the heater and the room. 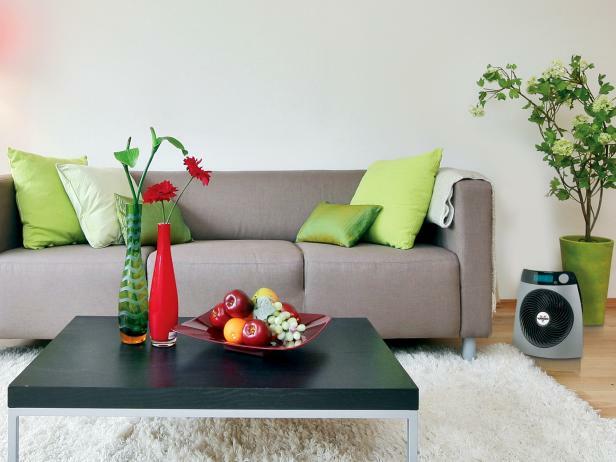 An integrated fan also means that a heater will heat up an area faster. Space heaters with a thermostat will automate the heater's operation, so you don't have to continually turn it on and off manually to keep a space from getting too warm for comfort. Larger units may even include faux wood cabinets and faux flames for a warmer, fireplace-like look. If you've turned to a space heater because your home is constantly cold and drafty in the winter, you may end up spending more money on energy in the long run than necessary. Electric space heaters are inherently inefficient as a heating source. As a matter of fact, the Department of Energy's EnergyStar program doesn't certify space heaters in the EnergyStar program for this reason. 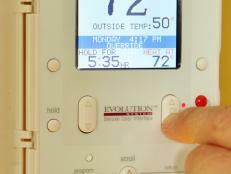 A central heat pump or gas furnace, even an older model, is likely much more efficient at heating your home. That's why it's important not to use a space heater as anything more than a temporary bandage for spot heating. 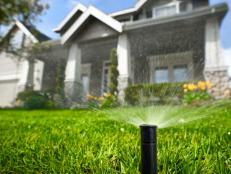 Instead, solve the real problem: the poor efficiency of your home's shell. Spend a modest amount of money to insulate and air-seal your home to stop cold air infiltration and retain heat from your existing central heat system. Improving the energy efficiency of your home's shell will save you money and make your home a more comfortable and safer place to live in the long run. 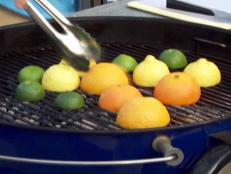 Keep your grill burning bright for years with this simple cleaning and care guide. 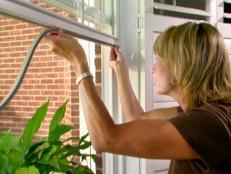 Use these maintenance tips to help keep your air conditioning unit running efficiently.